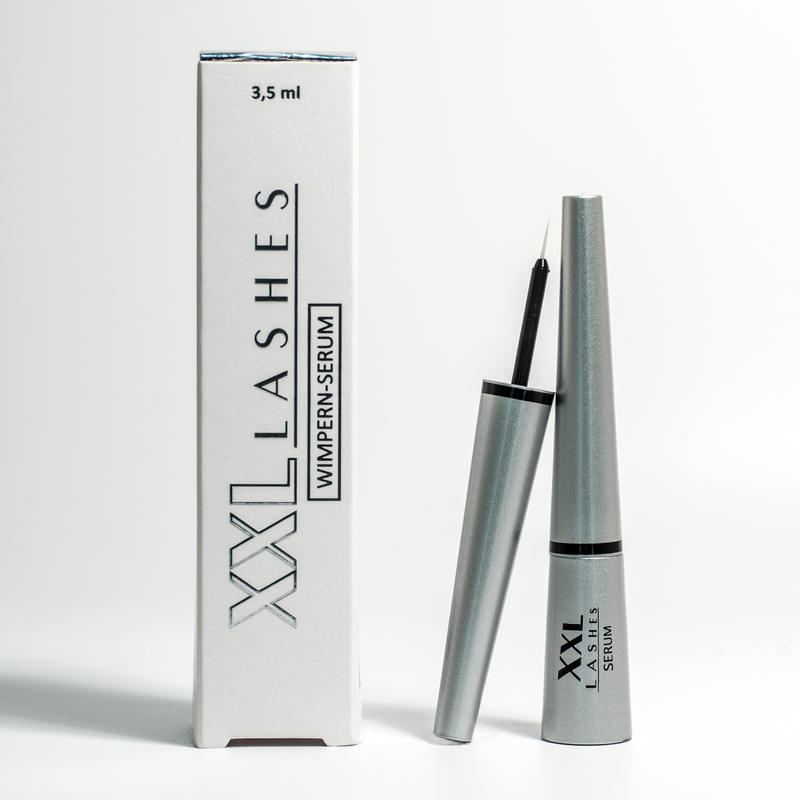 The XXL Lashes serum brings length, volume and strength to eyelashes. It has the effect of accelerating growth of the natural eyelashes. There is now a wide range of eyelash growth products available on the market; most of them are very expensive and one does not really know whether they would work. We thus wanted to find a really effective product and at an affordable price. 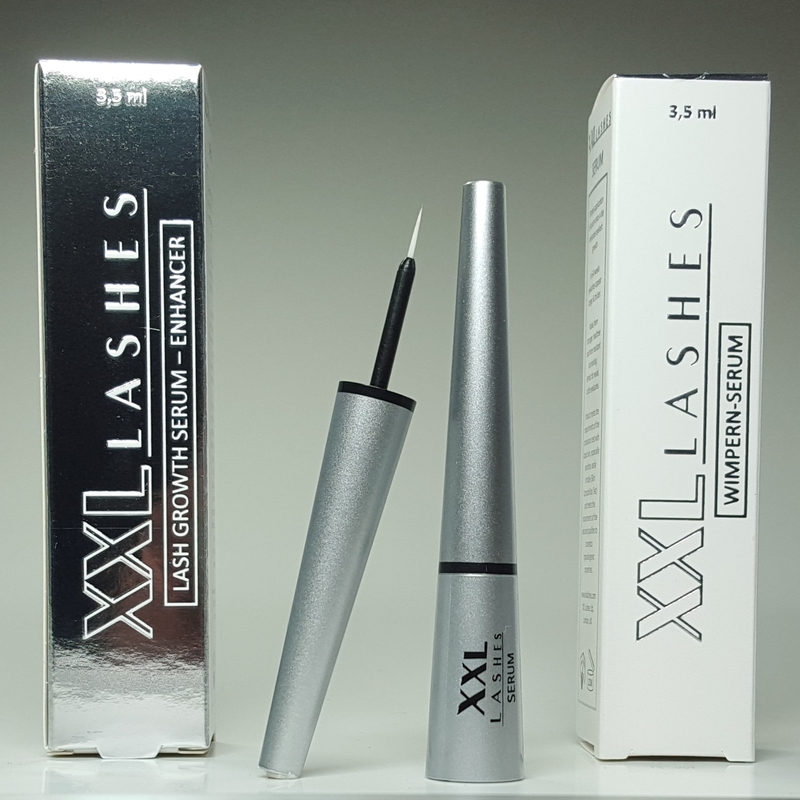 After years of testing and careful trials XXL Lashes thus developed a serum for women dreaming of long, strong and thick eyelashes. It is specially recommended for eyelashes that are naturally short or weakened by bad extensions, age or illness. The XXL Lashes serum gets to the root of the problem. The unique combination of active ingredients ensure formation of hair roots and hair and thereby stronger and faster eyelash growth. The XXL Lashes serum is to be thinly applied on the eyelashes with the fine eyeliner brush, such that it reaches the roots of the eyelashes. Only when the serum reaches the hair follicle is the cell growth activated. Once the serum is absorbed, eye makeup can be applied as usual. It can also be used with eyelash extensions and in fact it increases the strength and capacity of natural eyelashes to bear the weight of extensions. 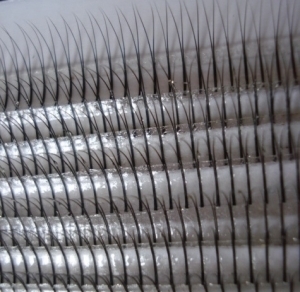 After 4 weeks of daily use itself there is a visible increase in the length of the natural eyelashes. 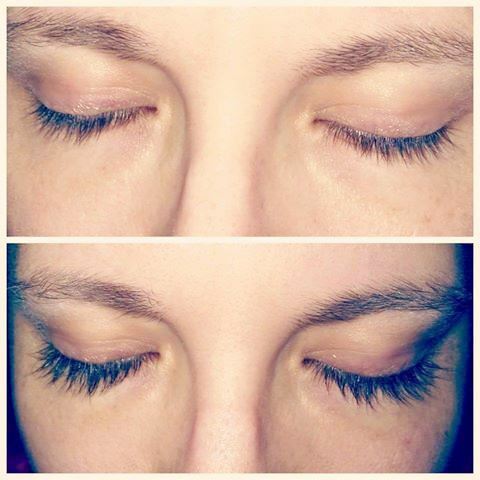 It needs 8-12 weeks of application for ideal results and a distinct increase in the length of eyelashes. 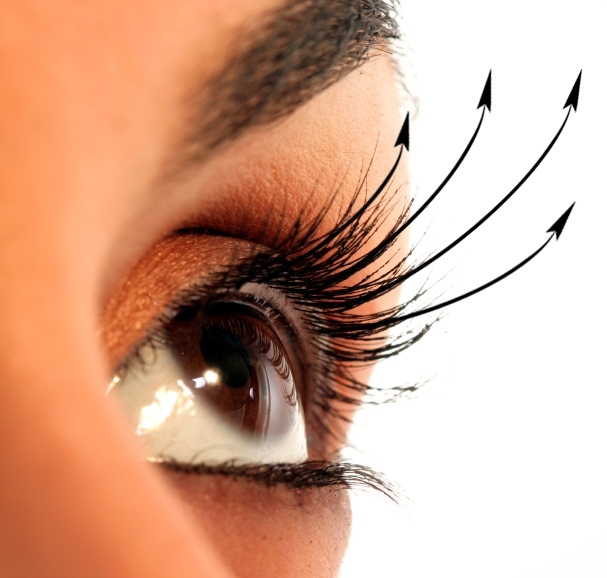 Natural eyelashes have a life cycle of 3 months after which they fall off. Thus for all round long eyelashes, we recommend that you use the XXL Lashes serum regularly to maintain that look. In the beginning, a daily application in the evening is recommended after removing your makeup. You can taper off the application to once every 2 days later. 3.5 ml of serum lasts for 4-5 months owing to its thick consistency and sparing application. 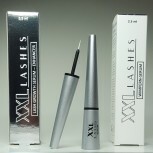 XXL Lashes serum is dermatologically and opthalmologically tested. There were no side effects to be found in the trials. The results however depend on individual predispositions, it can vary with every woman. Application is not recommended for women who are pregnant or nursing and people undergoing chemotherapy. 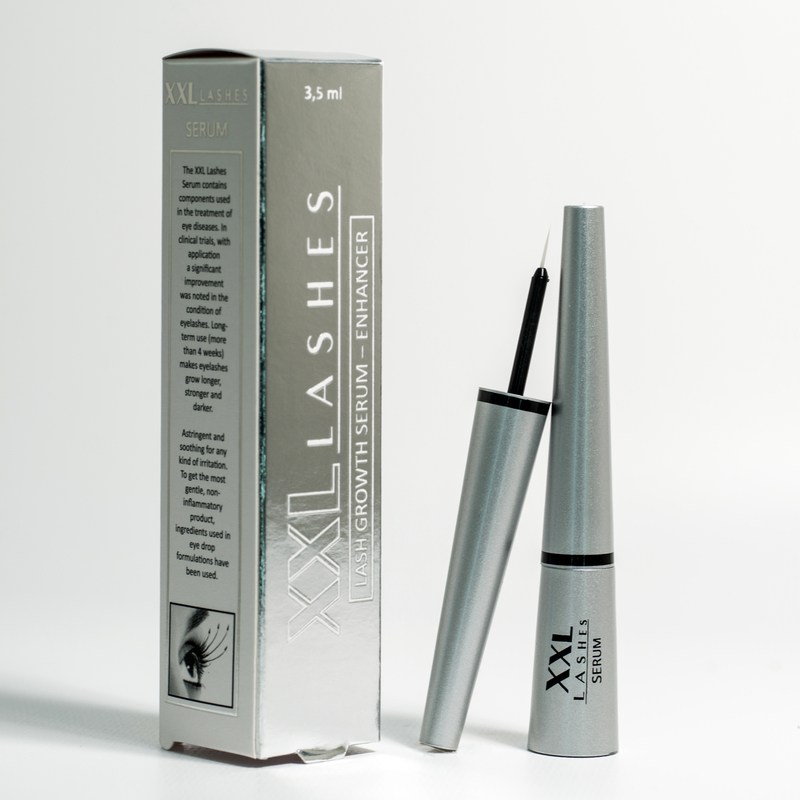 What is the reason behind the effectiveness of XXL Lashes serum? 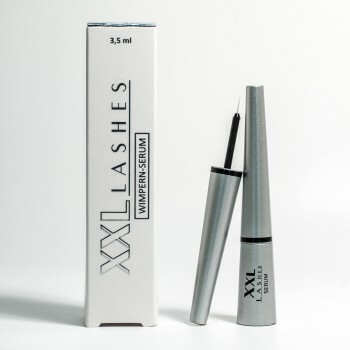 Unlike other products promising eyelash growth that only contain vitamins and nourishing active substances, XXL Lashes serum contains a Prostaglandin analogue which belongs to a group of tissue hormones (an analogue is a synthetically produced ingredient, which has the same effect on the human body as a natural ingredient). 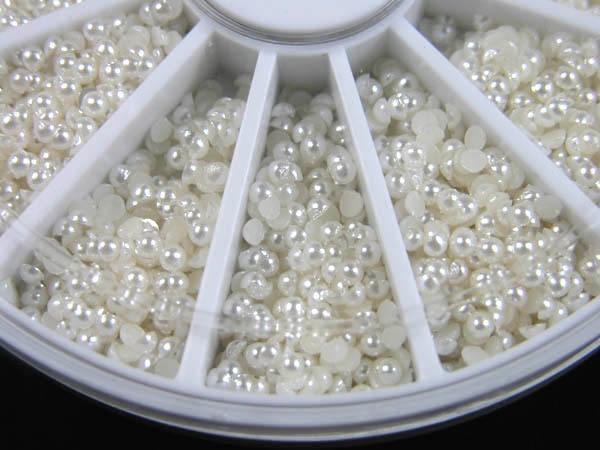 Content: 3.5 ml - store in a cool place, apply in the morning and evening on the eyelids and not in the eyes. Clinically tested, no known irritation and side effects. *Results vary depending on individual predispositions with every woman. 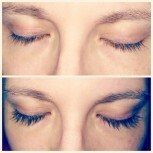 XXL Lashes is not liable in case of not getting the desired results.